Learn the best places to find and photograph wildlife with this guide. Finding wildlife in and near Grand Teton can be tough but this guide makes it easy. You will find exactly where and when to go to find the animals you are looking for. Find the wolves, moose, elk, bison, pronghorn, and bighorn sheep that you want to see. All four seasons are covered, giving you the best chance to view wildlife no matter when you visit. Learn the best time of day, what the best focal length lens is to bring, and what you might see. 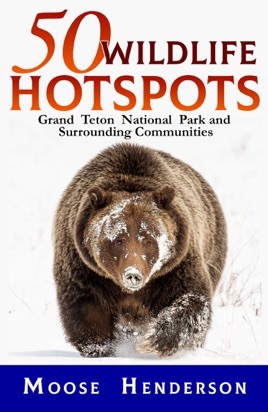 The book talks about safety, animal behavior, and the environment of Grand Teton. For approximately seven months out of the year, the area is blanketed in deep snow and sub-arctic temperatures. Moose talks about photography and finding animals in these tough conditions, too. For bulk & wholesale purchases, contact the publisher directly.